The terms “Trina Hoadley Photography" “us”, or “we” stated after are in reference to the proprietor of this website. The term “you” refers to any user or visitor to this website. If you object to the terms and conditions of this Agreement, refrain from visiting the website or information, products or services presented therein. This Agreement is made between you (“You”) and Trina Hoadley Photography, and is then binding at the date of your first visitation to the website. You further concede that Trina Hoadley Photography may adjust, amend or replace all or any portion of this Agreement at any time, and that such adjustments, amendments or replacements shall be binding at of the time of posting, irrespective of whether or not you are provided with notice of these adjustments, amendments or replacements. If you object to the adjusted, amended or replaced Agreement, refrain from visiting the website or information, material, products or services provided therein. Subsequent visitation to the website after adjustments are posted will stand as your acceptance of the adjusted, amended or replaced Agreement. You concede that any and all information, material, products and services, including data, graphics, text, files, web pages, product names and logos contained on the website (hereafter known collectively as the “Content”), including the presentation of such Content and all information relating to said Content, in which the Content is presented or appears and all information relating thereto, are proprietary to Trina Hoadley Photography and protected under the copyright and trademark laws of Canada and other applicable jurisdictions. We assert all our rights pertaining to the copyright and trademark laws of Canada and other applicable jurisdictions. The Content featured on this website is for your general information and use only. It is subject to adjustment without notification. 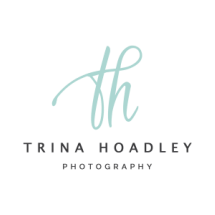 Any copyrighted or trademarked material which is not owned by or licensed to Trina Hoadley Photography, are acknowledged as such to the extent of all reasonable possibility. All website Content is presented “as is” without warranty of any sort and we do not have and do not accept any responsibility or representation, express or implied, toward the veracity or inclusive of any of the Content. You comply that any use of the Content is done at your sole risk, for which we shall in no way be held liable. It shall be entirely your own responsibility to determine that any products, services or information depicted or made available through this website fulfill your specific requirements. You concede we are not aware of your specific requirements if any. Neither we nor any third parties acknowledge any warranty or guarantee as to the accuracy, timeliness, performance, completeness or suitability of the information and materials found or offered on this website for any particular purpose. You concede that any such information and materials may contain omissions or errors and we expressly refuse liability for any such omissions or errors to the furthest legally permissible extent. You concede that we maintain no liability to you of any sort in regard to use of the Content and that you relinquish any claim to reliance rights in respect of any of the Content. You concede that Trina Hoadley Photography may adjust any or the entire website at anytime and that the website, including any associated sites, may periodically be offline and unreachable to you in order to facilitate maintenance and updates. This website may occasionally also provide links to other websites. These links are published for convenient access to supplemental information. Their inclusion on our website does not constitute any endorsement of the links, the designated websites or any of their content.